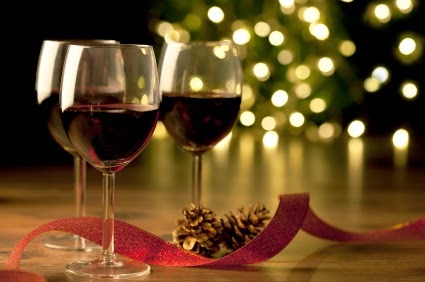 The Lost Pines Christmas Swirl, now in its third year, is a circuit of wine tastings hosted throughout historic downtown Bastrop. This year, there will be 12 wineries represented—all serving only Texas wines—each paired with a delicious food tasting from exceptional local restaurants like Maxine's on Main, one of Texas Monthly's top 40 small town cafes. The Swirl takes place on Thursday, Dec. 11th from 5-9pm and kicks off the Lost Pines Christmas festivities. Tickets are $40 each, which includes a souvenir wine glass, wine tastings and food samples at each location, and a special wine bottle caddy to make shopping for that perfect bottle of wine even easier! Purchase tickets online here. The night of the event, you can check-in at 921 Main Street beginning at 5pm to pick up your wrist band (which entitles you to 20 wine tastings), event wine glass, wine caddy, and official Swirl map. Once you've checked-in, you can start your self-guided tour to sample some of Texas' best wines in one of the quaintest, most historic small town downtowns in Texas! All of the locations will be open for shopping and regular business during the Swirl; however, without an official Swirl wrist band, you will not be able to participate in the wine tastings or food samplings. Tickets are limited, so buy yours today! For more information about the Lost Pines Christmas Swirl, click here. The food was very good at this location for vows--much better than typical hotel reception hall food. But I felt that beer selection at the bar was weak though.